Material in which Drago Trsar found his expression was bonze. One in a series of his works is in the art collection of the Royal Compound called Manifestants (model). 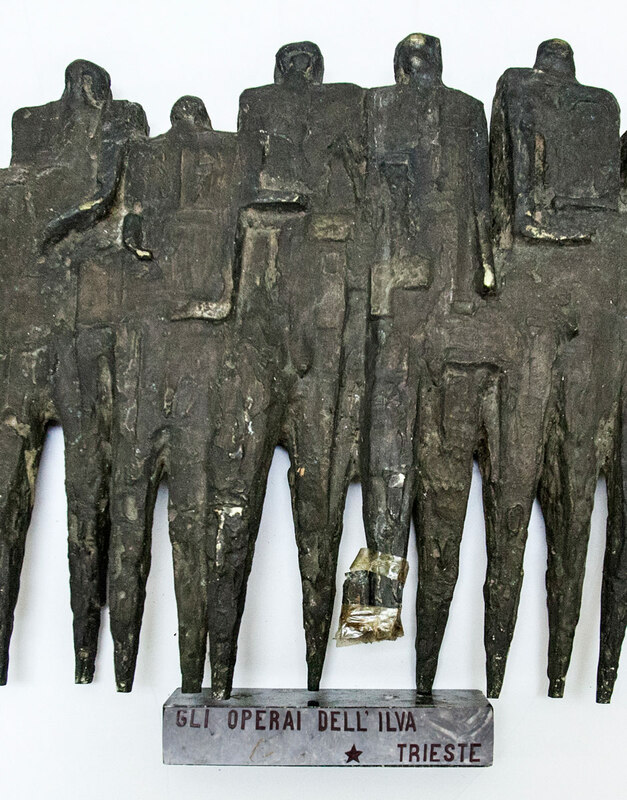 Opus of Drago Trsar, especially from 1953 on, shows an artist who most vividly marked the development of the Yugoslav and Slovenian post-war sculptures. What he insisted on was, how he himself said, ‘true aesthetic’ which did not reject tradition. In his work, this artist demonstrated constant innovation. A special feature of his work was eruptive inner being, the impact of the external on the internal world and a look at the inner world of human beings. A series of his important sculptural solutions includes sculptural cycles of which the most significant is Manifestants that was bought for Brussels in 1959. Another version of this work is located in Ljubljana in front of the Gallery of Modern Art. Drago Trsar, sculptor, was born in 1927 in Planina near Rakek. From an early age he painted and drew. In 1943 he enrolled in the school of sculpture of France Grose, and continued sculptural education in the studio of the sculptor Boris Kalin. In 1947 he entered the newly established Academy of Fine Arts in Ljubljana, where he graduated in 1951 with prof. Peter Loboda. He later attended a specialist sculpting course with prof. Francicek Smerdu. In 1976 Trsar became a professor at the Academy of Fine Arts in Ljubljana. He was the winner of numerous awards, including the Presernova Lifetime Achievement Award in 1990. 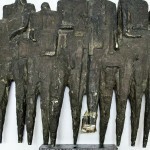 His first public appearance was with the Group 53, which signifies his break with the traditional figurative sculpture.